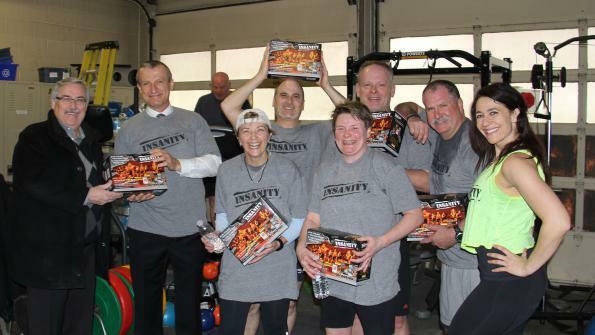 Toronto Police Service, which is Canada's largest municipal police force, is participating in INSANITY, a rigorous DVD-based workout. Officers will compete as a team in the Toronto Police INSANITY Challenge. Toronto Police Service, which is Canada’s largest municipal police force, is participating in INSANITY, a rigorous DVD-based workout. Officers will compete as a team in the Toronto Police INSANITY Challenge. Beachbody and the Toronto Police Amateur Athletic Association (TPAAA) are sponsoring the 60-day challenge, which runs from March 17 – May 19. Beachbody is a Santa Monica, Calif.-based firm that is the creator of an at-home fitness program. The company also offers weight loss and workout offerings and nutritional supplements in the U.S., including P90X and INSANITY. For the challenge, police officers must complete five Fit Tests and 52 workouts over 60 days. The officers work out as teams. The INSANITY workouts are a combination of plyometric drills and nonstop intervals of strength, power, resistance, ab and core training moves. Beachbody will assign an INSANITY-certified coach to each team to ensure they are working out safely and getting the best results. Beachbody will award three grand prizes for Most Weight Lost, Best Fit Test Results and Best Individual Transformation. The winning police teams will win a Beachbody gym for their station, including a collection of Beachbody fitness programs, such as P90X, Focus T25, and INSANITY: The Asylum, and an entertainment system. As part of this challenge, Beachbody will be raising funds for the Toronto Police Widows and Orphans Fund. This video, “What is INSANITY?,” describes the Insanity workout program.